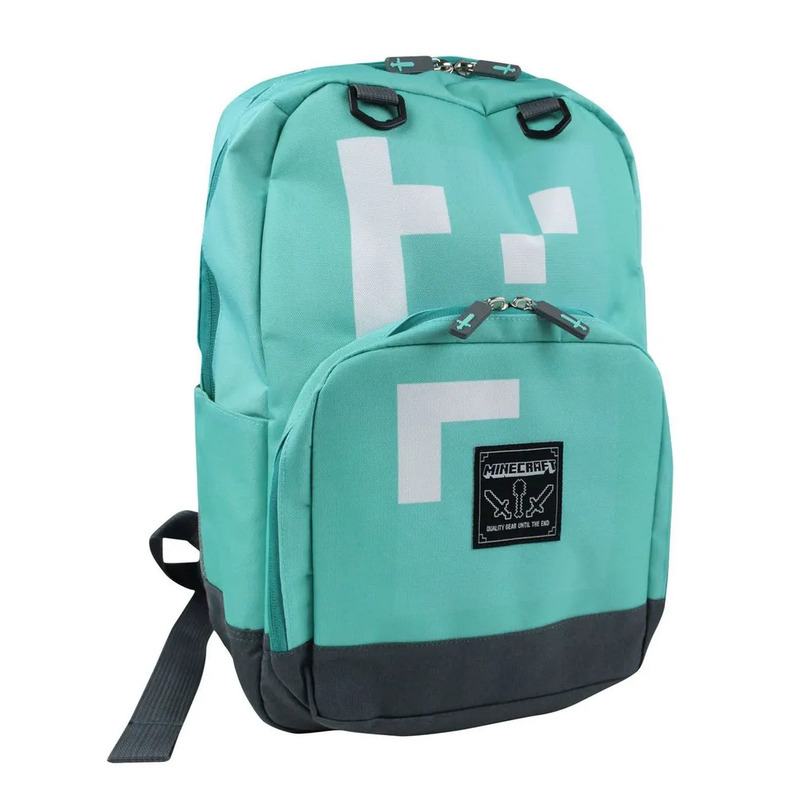 Kids official Minecraft diamond backpack, featuring the well-known pixelated look from the Minecraft games. Large inside section with interior pockets, and additional side pockets. Also features a Minecraft badge on the front pocket, with health and armor meters on the shoulder straps.